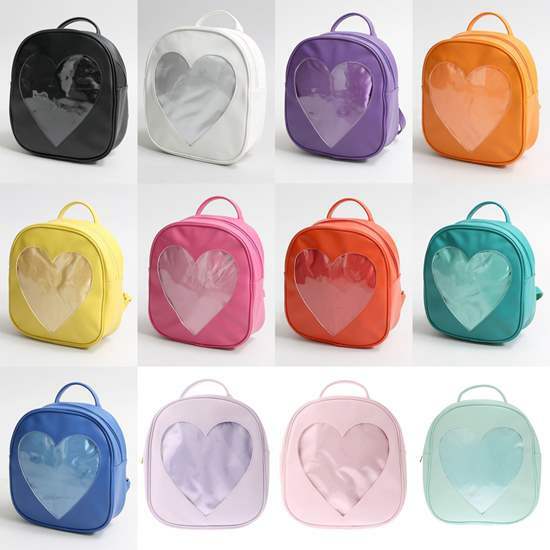 WEGO 'Ita' Heart Backpack Bag Popular Japanese clothing brand WEGO has come out with a line of heart-shaped bags, designed for the popular anime 'ita bags,' which are bags where you fill the front with merchandise of your favorite character or series. 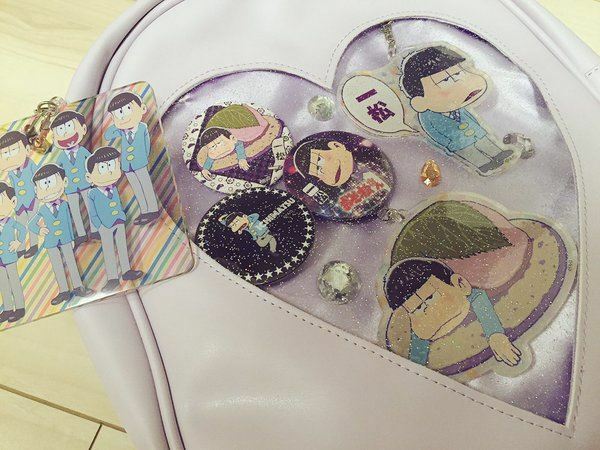 Please note that the plastic heart cover on this bag is glittery for only pastel colors. Non-pastels, white, and black are non-glittery. Available: On an as-ordered basis. 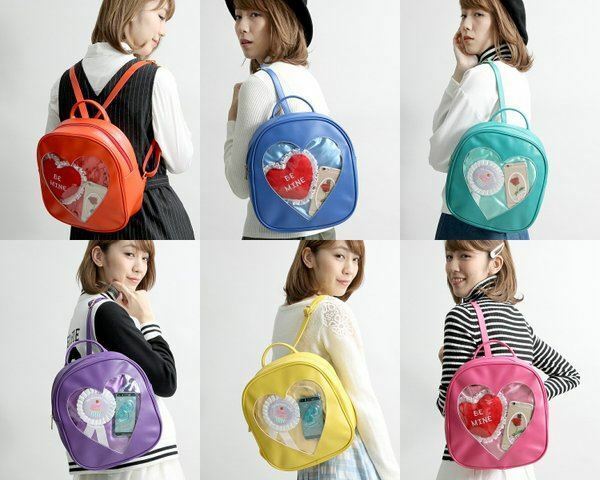 This means that once orders are placed, it will take around 1-2 weeks for the supplier to ship them to our warehouse, where it will then be processed and shipped out to the customer.